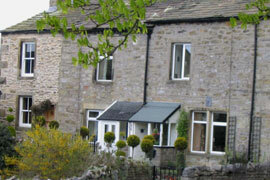 Manna Cottage is an 18th century cottage, situated at the top of Grassington's main street. The cottage sleeps 2 in bedroom with king sized bed overlooking Burnsall Fell. There is a well equipped kitchen, lounge/dining room with digital TV, VCR, DVD, books and games, parking for one car, storage for bicycles. Central heating throughout, with all fuel and power included. 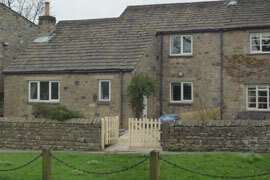 The Sycamores is a beautifully appointed holiday cottage, situated in the heart of Burnsall, 3 miles from Grassington. The cottage sleeps 6 in double, king (twin at request) and adult bunk bedrooms. There is a well equipped kitchen with dining area, large lounge with open fire, digital TV, VCR, DVD, books and games, enclosed garden and patio with views, storage for bicycles. Central heating throughout and all fuel and power is included. Sorry, neither cottage accepts pets.